Take the classic PC franchise for a free test drive and score a discount on the latest iteration. If you didn't already have any plans for your first post-Halloween weekend of 2012, perhaps you'd like to spend some time blowing holes in your fellow PC gamers. If so, Steam is giving you a fantastic opportunity with a free weekend of Counter-Strike: Global Offensive, available starting today and ending on Sunday at 1 PM PDT. If you're a Counter-Strike veteran but haven't yet given Global Offensive a whirl, you're going to feel right at home. The maps, modes, and weapons are almost all simply new versions of those stripped from the classic title and given a new coat of paint. Steam is also offering a discount on the full game, should you become infatuated after your free trial. 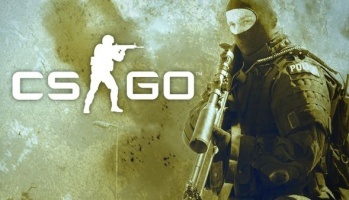 You can pick up CS: GO for just $9.99 (normally $14.99) until November 5th. However, even if you've already put in some serious hours perfecting your Global Offensive skills, the free weekend will still likely benefit you: Imagine all the fresh, green soldiers just waiting for you to take them out. OT: Sweet, I might get around to picking it up this weekend with the price dip! Damn you Steam! Haven't you done enough with MvM? Leave me be! I played quite a lot of the original back in the day, not that I was ever anything but mediocre at it. This way I can check out the new version and see if my interest still holds. Well, there is no iron sight aiming, so not really. I played it for an hour or so. It looks REALLY nice, but it is essentially Counter Strike: Source: HD. It's only 10USD, so I might get it. I remember playing the original for more time than I care to think. One of the better valued multiplayer FPS. No tacked on campaign to excuse a 60$ pricetag, no 60$ pricetag, objective based competitive multiplayer that is really fun (had even recently a match where my random team anded the first round with a 2:13 disadvantage and we still managed to win 15:14). It is refreshing to play a teambased FPS where my death actually results in a small pause, enough to rethink what happened as well as giving advice to teammates (I have a better headset than most, I can say exactly from where the enemy is coming if I hear him). You can't be serious. Are you really that ignorant or are you taking the piss? OT: Love free weekends. But lucky for me I already have CS:GO. Heaps of fun playing with a bunch of friends.